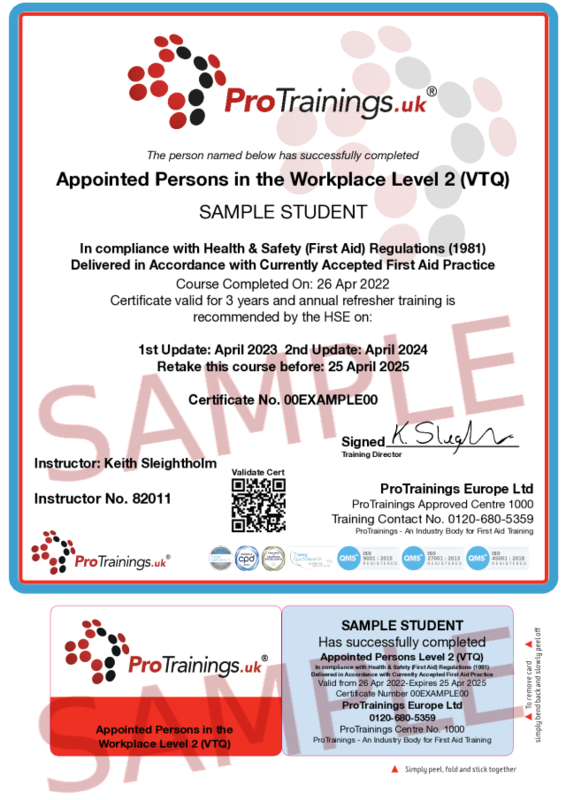 Businesses in the UK have to make correct provision for first aid in the workplace and the Appointed Persons course is ideal for small businesses as well as extra coverage in medium to large businesses. This course is taught under the guidelines of the HSE First Aid at Work Regulations 1981. If you require a classroom course EFAW is ideal but this course is 100% online saving you time and money to comply with your training requirements. The certificate is valid for 3 years and to renew you complete another appointed persons course. 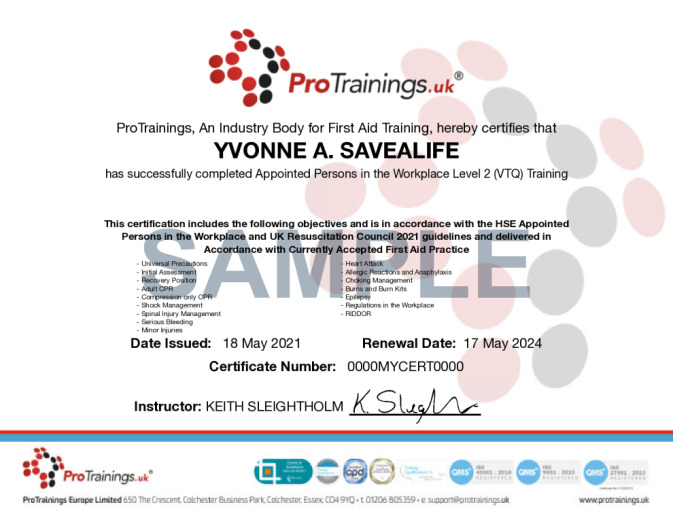 This course can be completed 100% online unlike the other workplace courses as it is designed to give an employee a basic understanding of first aid requirements and basic treatments. The HSE recommend that all first aiders complete an annual first aid refresher course and our online course meets this requirement.